The world loves Freddie. His antics. His tattoos. And his goals. In fact what’s there to not love about him. His mischievous smile and his shiny pate. Everything about him has been celebrated world over and thanks to Puma it was now India’s chance to get to touch an Invincible in flesh and blood. Aug 12, 2014. 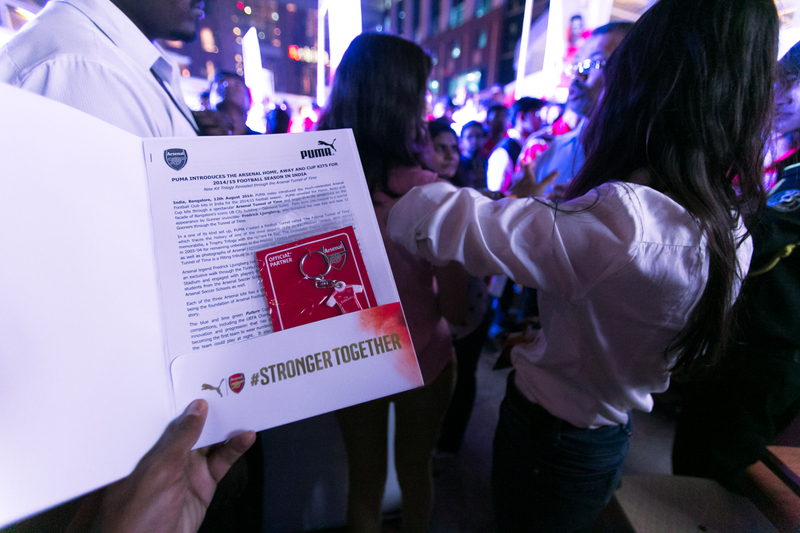 The launch of #StrongerTogether by Puma in Bangalore, India. 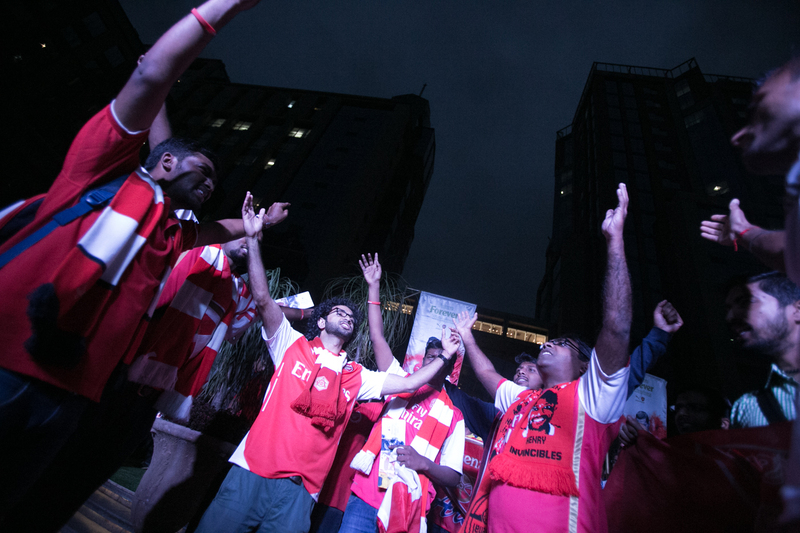 A grand event which immediately lifted the Indian Arsenal fan base to a sense of ecstasy and delirium. 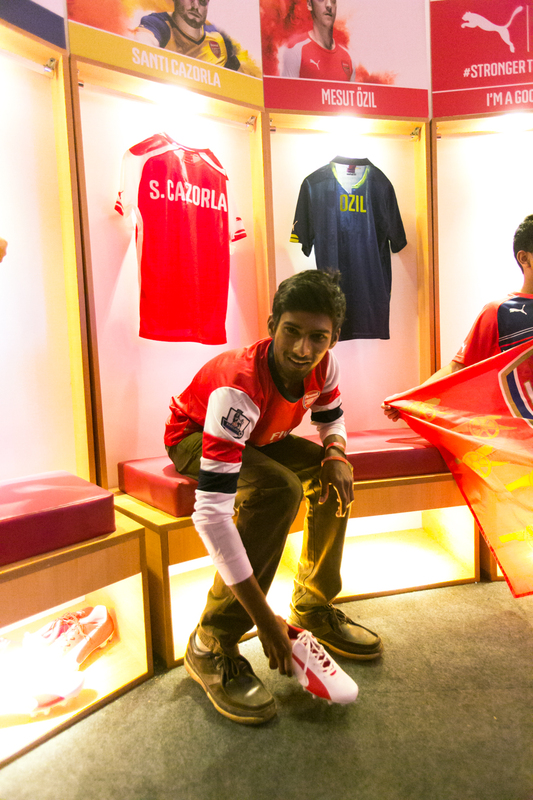 Gooners converged from all corners of India to be a part of this festivity. 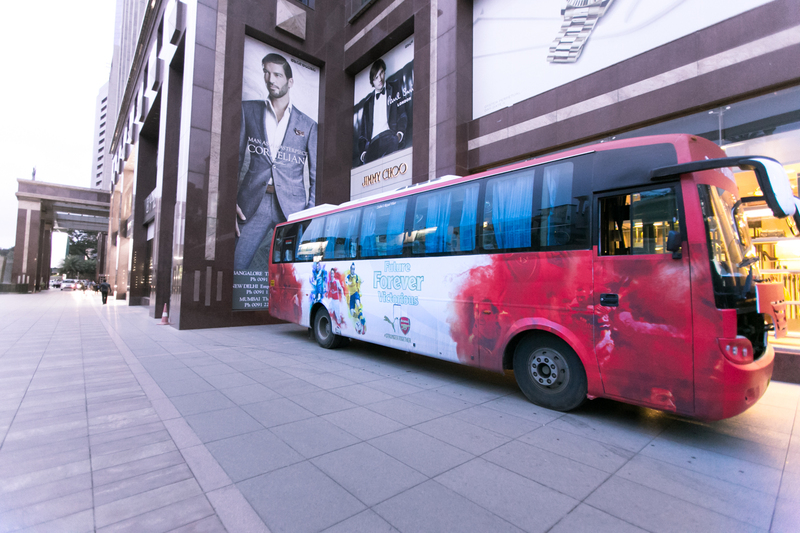 In fact Puma organised a specially branded bus for fans from Mumbai to travel all the way to Bangalore (its about a 1000 km long journey) and let me tell you first hand that the Mumbai contingent did not exhibit a cent of tiredness when it was their turn to scream and chant for Freddie and The Arsenal. 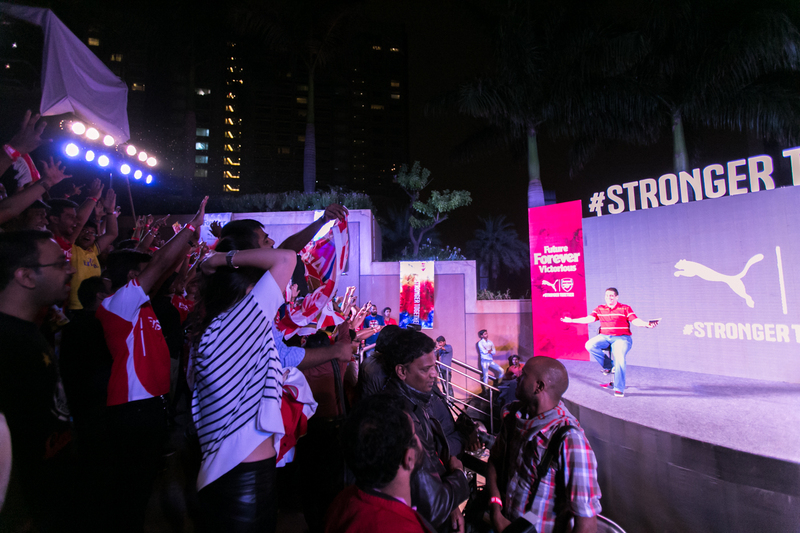 Puma left no stone unturned to impress the fans. There was media buzz and mini events before this mega event. 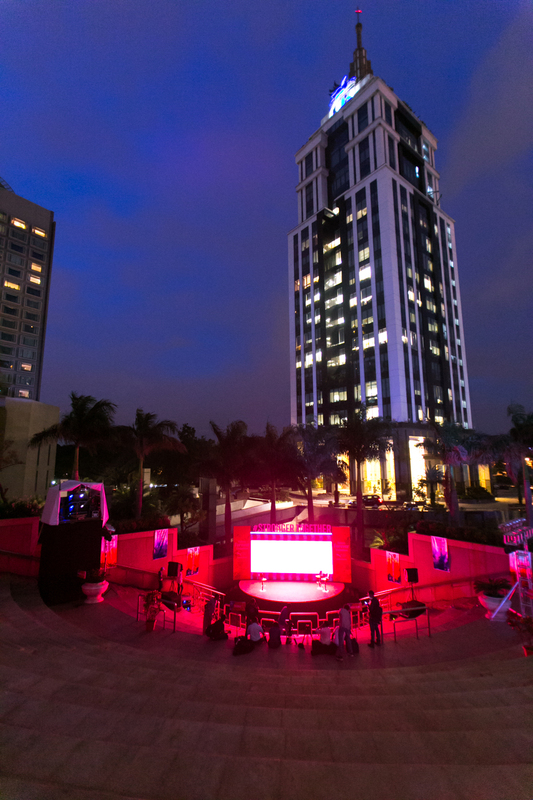 They booked the poshest spot in the city to host this event. Roped in an Invincible. 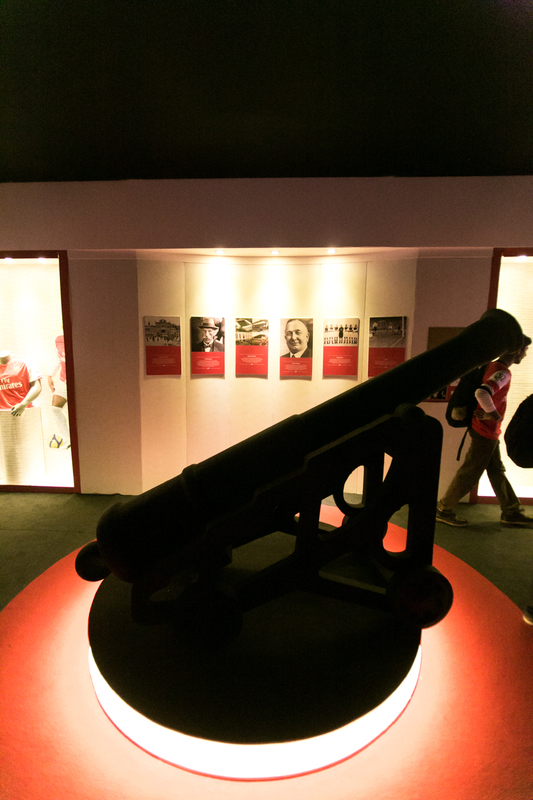 Created a beautiful maze of Arsenal History and Memorabilia called #AFCTunnelOfTime and then invited gooners from everywhere. 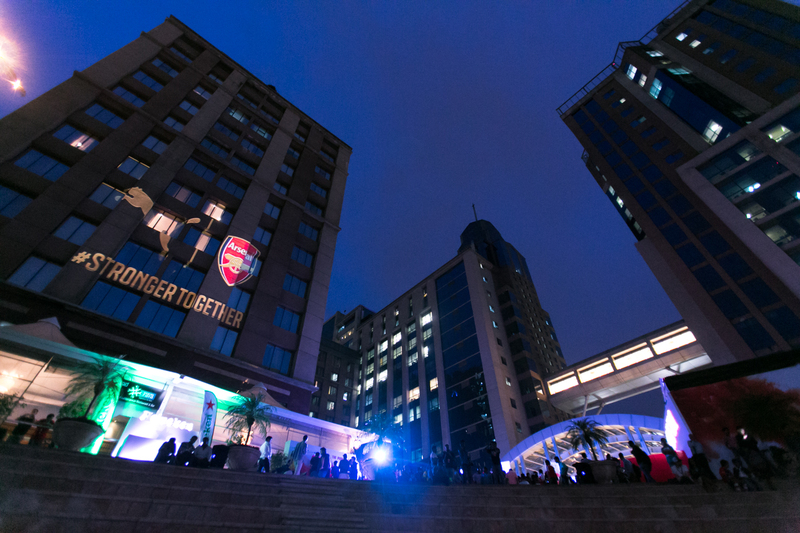 Throw in light & sound, on-building projections, open bar, fun and games and it was a night that gooners have been proudly showing off to all rivals. 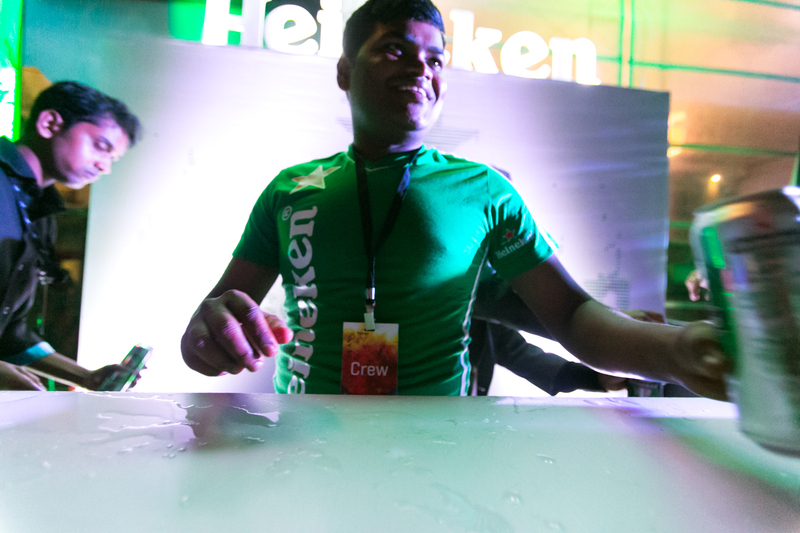 Never has a brand cared this much for fans (in India). Never has there been an effort so grand to win the gooner hearts. 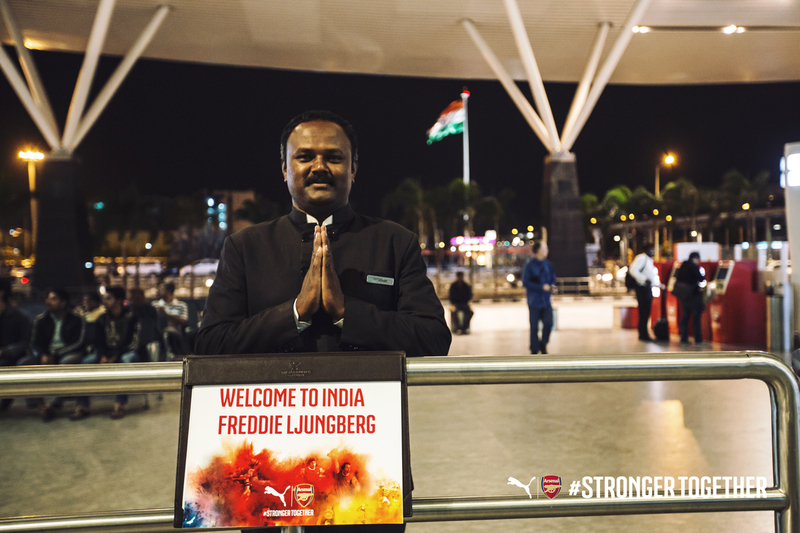 Never have I felt this special as an Arsenal fan in India. It is almost like a beautiful dream that you pinch yourself about later. Did that really happen? Yes it did. Ask all rival fans who accidentally walked by the venue and were heckled off by the singing gooners. I almost felt bad for them. Like we had a rich dad and they… snap! how times change huh!? 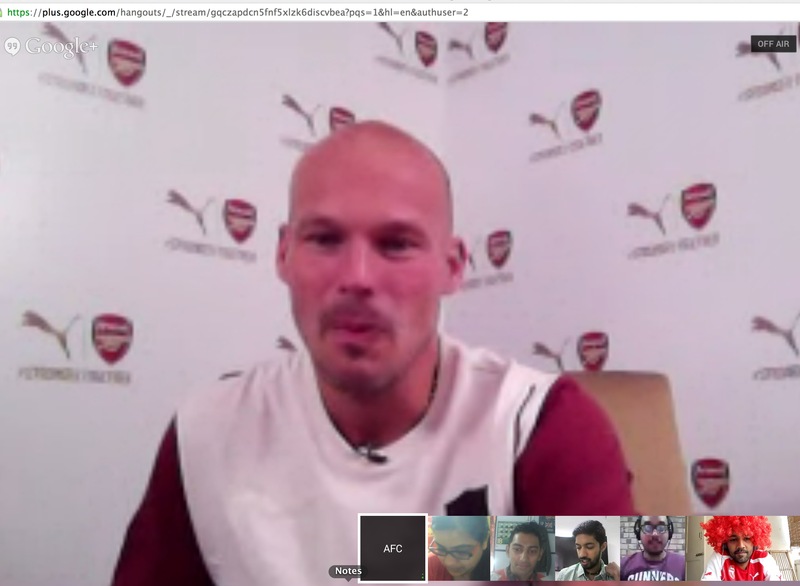 Unfortunately the hangout was cut short due to technical difficulties and I could not ask him about his time with Geordie Armstrong when he first arrived at Arsenal. 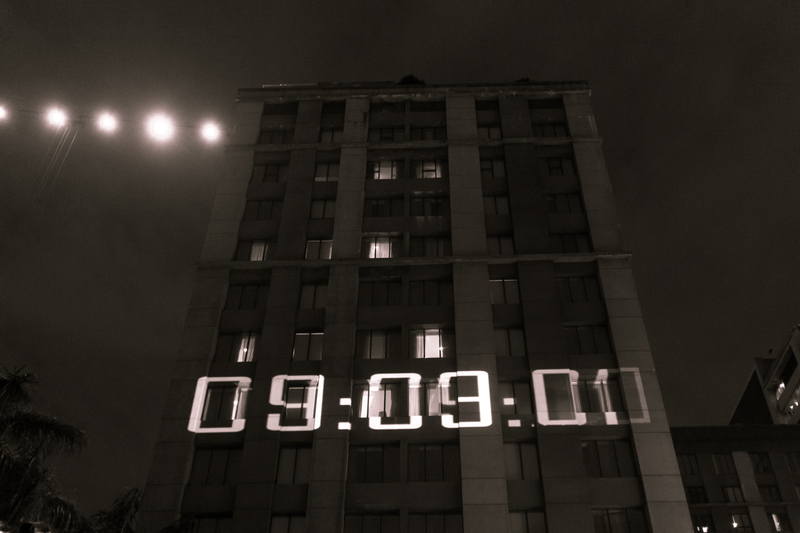 Well… some other time I guess. During the day time he spent time with local football teams and junior footballers who showed him a skill or two and they in turn got a few tips from the legend himself. In the evening it was time for the big celebration. 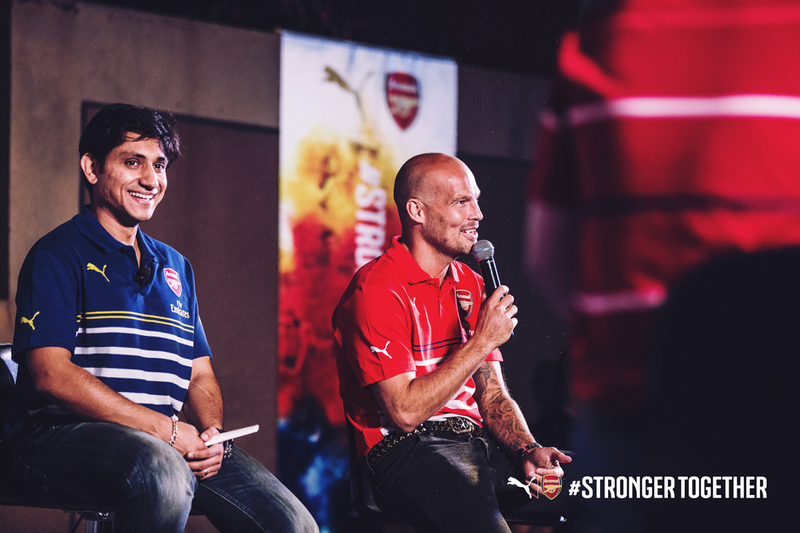 100s of gooners were invited to UB City where Puma had planned a kickass show which floored all present. Paul Masefield flew in specially to host the evening and had a tough time speaking 3 sentences at a time without gooners chanting. It was annoying and amazing at the same time. And I must hand it to Paul who handled the situation extremely delicately. Paul then introduced Puma and Freddie to the fans. They both spoke for a few minutes and answered questions by fans. A time when you realise what ATID means. “Well I wanted us to sign Sanchez after his 2010 display, but I am glad we finally got him” And then he spoke of how he had the option to go to other clubs similar to Arsenal but he chose not to. Because… you get it why right? Something RVP would not understand. He spoke intelligently and warmly of all at The Arsenal. Specially Arsene Wenger. And then he said something beautiful which will resonate with all gooners. “When we played together, we were all equals, there was a great bond with each other, and we loved playing together, which is why most of my team mates are still my friends” . He said many more beautiful things which were all met with thunderous applause each time. Like when he mentioned his favorite Dennis Berghkamp. Or when he spoke of Arsenal’s future with the younger players like Jack Wilshere. Freddie was a beautiful voice this day, and it could be Pires next or even Henry someday. But the storyteller was clearly Puma. And India is not the only place where this has happened. 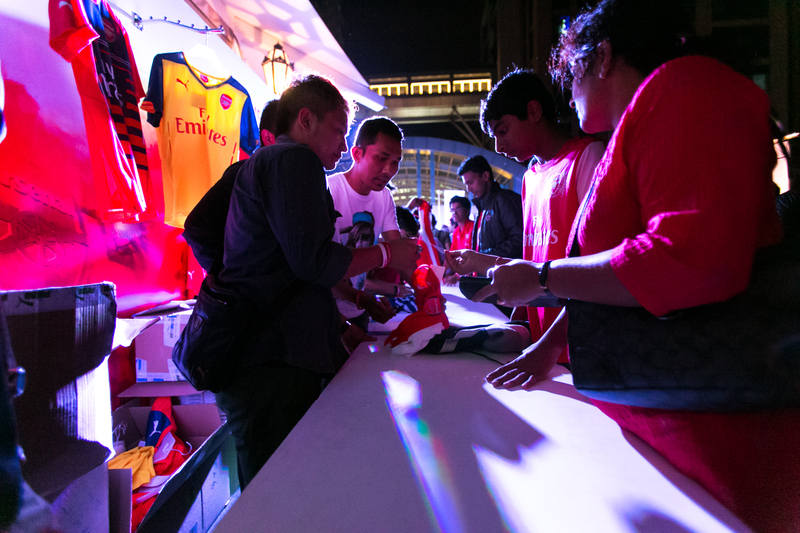 It started over the Thames of course but the riot of Arsenal colors has exploded world over with this new partnership. Puma has made more fans in such a short time than anyone imagined they could. What’s happened overnight, is that our former kit brand partner’s memory has been washed away in one giant and sudden sweep. It’s all Puma now. They have shown their hand. 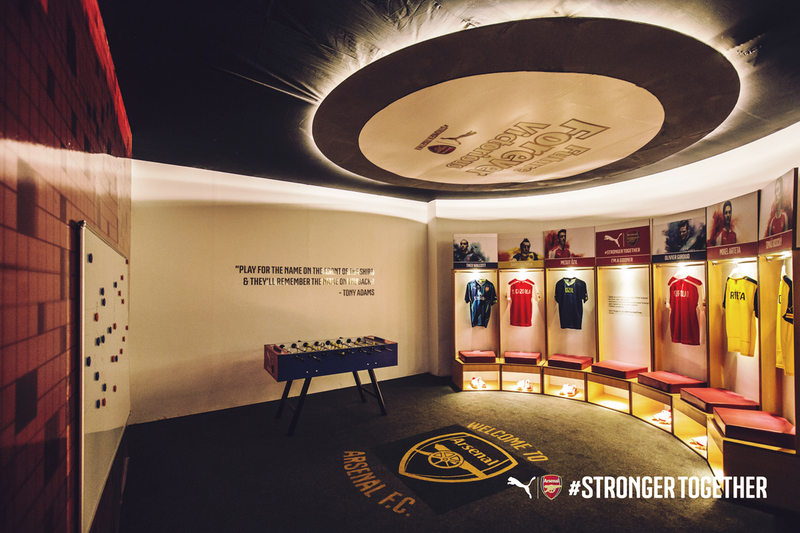 There is respect and attention from Puma to Arsenal. And it will certainly win fans’ loyalties. In big markets like Asia where piracy is rife, this affection for Puma will make a few more think about buying a knock-off jersey. 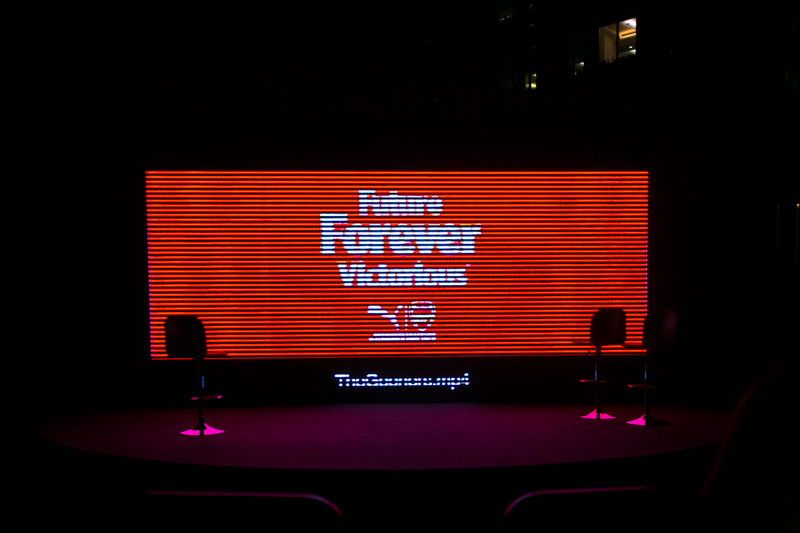 Or if they wanted anything new and Puma makes it, it is now much more likely to be bought by a gooner. 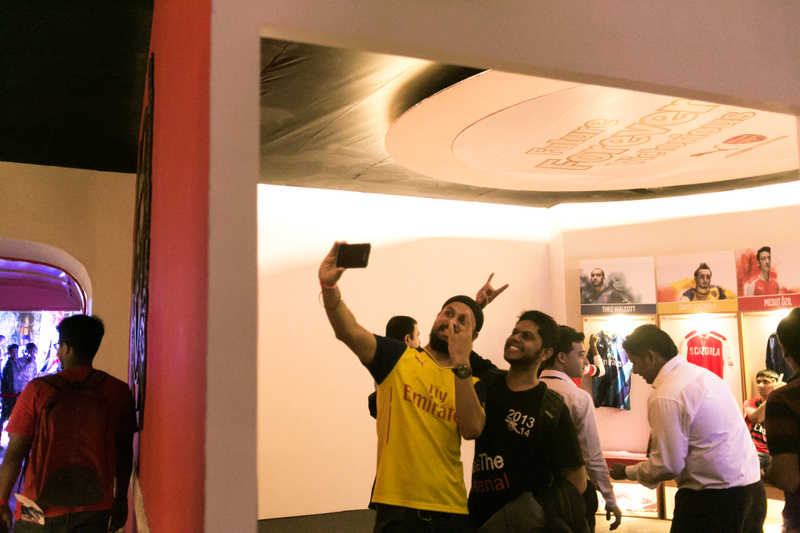 Fans can see a reflection of Arsenal in the leaping cat. They’e done it right. They’ve done it the Arsenal way. In essence #StrongerTogether is not very far from Victoria Concordia Crescit, and that tells me its going to be special. 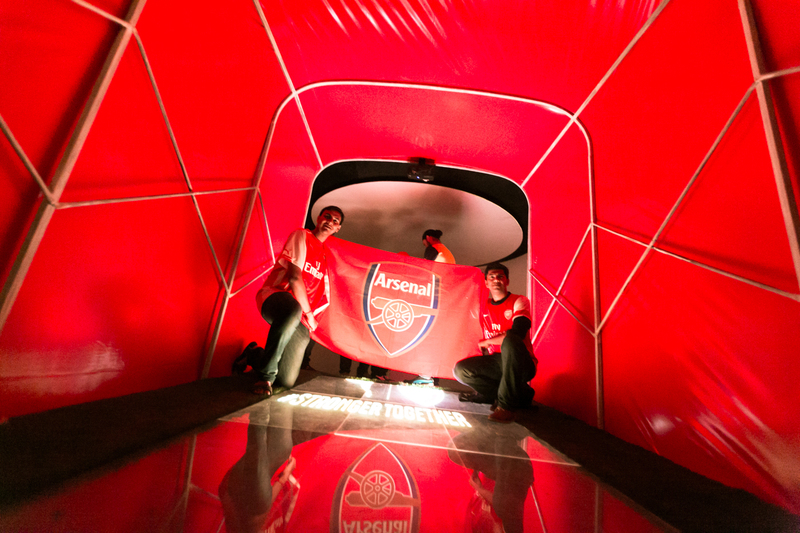 This entry was posted in Arsenal, Fun and tagged #AFCTunnelOfTime #Puma #Kitlaunch. Bookmark the permalink.